Static and dynamic adsorption have key role in chemical flooding process and they are important parameters in surfactant polymer degradation and decrease oil recovery. 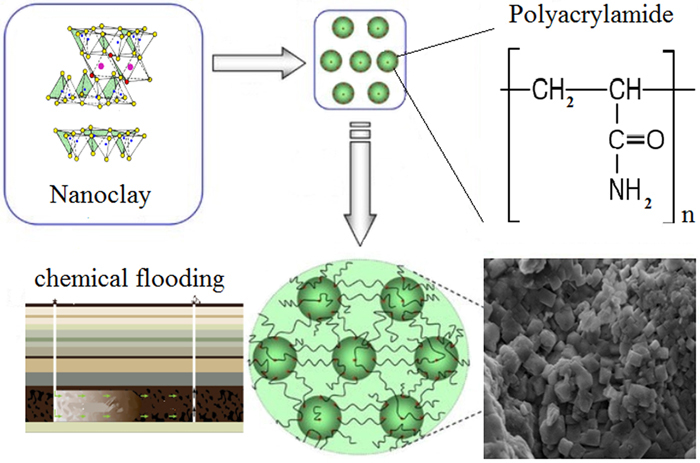 The effects of nano concentration on static adsorption of surfactant were investigated at variable condition polymer and surfactant concentration and nanoparticles are critical parameters influence the adsorption behavior at a flooding process. Surfactant polymer solutions and newly developed nanoparticles solutions were tested. The crude oil had a viscosity of 1320 mPa s at test conditions. In this paper, the role of nanoparticles in the adsorption of surfactant polymers onto solid surfaces of reservoir core is studied. The results which obtained by means of static adsorption tests, show that the adsorption is dominated by the clay and silica nanoparticles between the polymer molecules and the solid surface. Higher nanoparticles concentration leads to less adsorption, where the adsorption may decrease to 20 % of the adsorption level of surfactant polymer. The clay and Aerosil A300 nanoparticles in surfactant polymer solutions improved oil recovery by about the same amount. The clay, however, showed improved performance in comparison to Aerosil A300.